UPDATE – My how time changes things. I’ve been working hard to become an intuitive eater. Mindset has been a big focus of mine lately and I realized that I was allowing someone else’s opinion / the results of a study to limit me and make me “think” that intuitive eating wasn’t in the cards for me. I’m happy to say that I WILL become a solely intuitive eater and I am strongly on my way. I believe it is possible for everyone if they put in the work. Here’s to crushing limiting beliefs!!! Is intuitive eating for everyone? I don’t think so. I may take some flak for saying this, but success with intuitive eating is not something that every person will be able to achieve, but with a lot of work most can. I myself have been working toward it for years and in all honesty, I am not there yet. Will I completely get there someday? Maybe. Do I have to track every morsel I eat every day? No, but I do need to track my intake on a weekly basis and guesstimate when I don’t track. I don’t often discuss the fact that I had an eating disorder in my teen years, but I did and I firmly believe that my disordered eating during those crucial developmental years altered my ability to have normal hunger/fullness cues. I can’t find the reference (believe me I have tried), but a few years ago while listening to a podcast with Layne Norton and Sohee Lee she mentioned a study that indicated that girls (and I am sure boys too) who experienced disordered eating during their developmental years had diminished ability to experience normal hunger and fullness cues. Bingo…that made so much sense to me and spoke to my experience. Please know this can work both ways; some people have an increased need to track their intake in order to make sure they eat enough, while others need to do so to ensure they don’t overeat, and yet others have zero need to track and truly can intuitively listen to their body’s needs. Throughout all of my years of working with clients, I have seen so many different eating behaviors. I’ve had clients who have very little appetite in general, those who are not able to control their urges to overeat, and still others who eat when they are hungry and stop when they are full. I have found that both under and overeating issues generally stem from unbalanced Sugar Handling (Hyperglycemia, Hypoglycemia, Insulin Resistance, etc. ), so the solution to more normalized appetite tends to be getting their sugar balance in line through eating the majority of their calories from whole unprocessed foods and consuming enough protein and healthy fats for their specific activity levels. When we eat nutrient dense food that’s been properly prepared, our hunger signals will be more normalized. This is not to say that emotional issues aren’t at play; I think we can all agree that there can be a heavy tie between emotional state and appetite. As I mentioned, I have been working toward a more intuitive approach to eating for years with many unsuccessful attempts along the way, however, each failure has taught me something that has improved my experience the next go around. Now my approach is tiered as I slowly work toward intuitively knowing what my body needs. I have tracked for so long now that when I do go out to eat I can estimate what is on my plate and do not need to weigh or measure it, but I do loosely track it in My Fitness Pal. I also have at least 3-4 meals a week where I simply work to build a balanced plate with no need to weigh or measure. One of the biggest mistakes I made when moving away from tracking was to completely stop tracking versus taking baby steps. I went from weighing, measuring, and inputting every morsel I ate into My Fitness Pal to a free-for-all (lesson learned). I am now at the point where I am able to go out of town and simply eat reasonably yet still within my whole foods healthy manner. I simply make the best decisions I can when we eat out and when I get home I track my meals to make sure I am eating a good macro split that supports my health and the type of athletic training I like to do. Another key for me has been to make sure that I stay away from processed sugars completely because they send me down a horrible path. I know this about myself and have made the conscious decision to stay away from them because I literally can’t control myself…it’s like one bite and I’m done for…any semblance of control is gone. So, when I have something sweet (which is daily) I make sure it is made with as little processing as possible like a smoothie sweetened with dates or an RX Bar. If we have a birthday coming-up in our family and I make the decision that I want to partake in the treat, I will make a homemade paleo dessert and then I am able to have one serving and be done. An important piece of the puzzle has also been sleep. Getting proper sleep is a critical factor in appetite management. Sleep deprivation is a major contributing factor to increases in appetite. We need those precious hours of sleep to rest and repair and provide our body with the energy it needs. If we do not get that sleep, our body will trigger hormones that will increase our appetite because our body needs to get energy from somewhere and if we are not getting it from sleep, then food is the next best thing. At the end of the day, we are all on our own personal health journeys and I don’t want anyone feeling poorly about themselves because they haven’t been able to master the recently labeled eating style of “Intuitive Eating.” While I think that eating healthfully with an intuitive eating goal in mind is a good goal to strive for, it is not something anyone should feel they have to do. We all have our eating pasts and those help dictate where we currently are in our journey. I used to feel bad that I wasn’t able to experience normal hunger cues and felt guilty about the choices I made as a teen, but I no longer allow those feelings of guilt to take hold of me because they truly serve no purpose. I can’t change my past choices, but I can make sure that my kid’s have a normal and healthy relationship with food. I made the choices I made in the past and now I am doing what I need to do in order to remain healthy and give my body the nutrients it needs for health. As long as we focus on overall health, how we get there versus how someone else gets there shouldn’t matter. If you are someone who needs to track their intake and the person next to you doesn’t, that’s A-OK.
Last month I decided to join the Beautycounter team because whole body health is REALLY important to me and I wanted to be able to refer my nutrition clients to a reputable company when it came to skincare and beauty. Many of you know about my decades long battle with autoimmune diseases and I want you to know that changing my skincare, make-up, and bodycare products made a huge impact on my health. I realize it is a financial investment to change out all of your products, but you don’t need to do so all at once…as you run low on a product replace it with a better alternative. The European Union bans/restricts nearly 1,400 toxic chemicals, while the United States bans only 11. 2) There has not been a federal law passed governing the personal care industry since 1938. 3) An average woman uses 12 products a day, which can equate to over 100 different chemicals. 4) Of the ingredients in our personal care products, 80% have never been assessed for human safety. Beautycounter is working tirelessly to change the beauty industry and make it safer for all of us. How often do you hear of a company trying to make the legislation in their own industry more stringent? Beautycounter is working to do just that. The heart of our movement is safety and performance. Our commitment to transparency is unparalleled in this industry. With Beautycounter, you know everything that is in your products; we disclose every single ingredient. We have the most health-protective ingredient selection process. In addition to adhering to our Never List (the ingredients we have vowed to never use), we evaluate every single ingredient for safety. We eliminate the nearly 1,400 ingredients banned in the EU and the 11 banned in the US and our Never List. We believe our products are some of the safest on the market and we invite you to sample them tonight. We have everything from skin care to body products, color cosmetics, kids products and more. I’d be happy to discuss any of your product or ingredient questions and assist you with your selections. My favorite product(s) is/are… (share reasons). Be on the lookout for specials Friday – Sunday!!! How can you get involved with Beautycounter and help move our mission forward? JOIN AS A CUSTOMER. Vote with your dollars to support companies working towards change. Start swapping out your products for safer ones with Beautycounter or others you find on ewg.org. BECOME A MEMBER. If you are finding that you want to order quite a few items, you may want to consider our rewards program. It’s called Band of Beauty and it is fantastic. 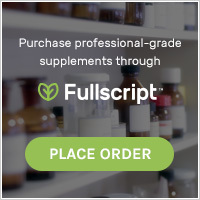 You will earn 15% back in product credit for all of your orders, plus free shipping on orders over $100 AND a complimentary gift (when you spend $50+). HOST AN EVENT! If you feel moved by this information and you want to share it with your friends and family, you can host an event or social. I will bring all the products to your home or location of your choice and share this information! As the host, you will have an opportunity to not only spread the word about safer beauty, and you will earn some amazing products for free and half off! I would love to have you shop with me on my site…to do so, click HERE. My blood sugar would drop, I would feel light-headed, and ravenous hunger would set in. I would have some nuts to try and quell the hunger (logically knowing that I had already consumed enough food), and would keep myself busy in order to keep my mind off the hunger. For lunch I would make a giant salad and that would keep me full for quite a while. When I made my salad dressing I would add about 1/4 dropperful of liquid stevia to cut the bite out of the apple cider vinegar. My salads have always been epically big, so all of the fiber from the veggies would do a good job of keeping my belly full. Dinnertime would roll around and I would eat a nutritious, well-balanced meal with my family which would satisfy me and then I would follow the meal with some sort of stevia-sweetened treat such as Plain Coyo yogurt (with some stevia, nuts, and wild blueberries) or a tea latte with stevia and coconut milk. Sure enough 30-60 minutes later I would be ravenous. Thinking back on my day I would know I had eaten enough, yet those hormonal urges were hard to suppress. Sometimes I could get through it by making myself busy and other times I couldn’t help it and would go grab a snack. Karen ran a slew of blood tests and nothing came back of note, which was good news and bad because we hadn’t found a reason/solution. We decided to run another stool test (it’s been a while) as well as a full Dutch hormone panel (I will get both results at the beginning of December). In the meantime my husband and I went to visit some friends out of town and I didn’t bring much with me in the way of food since we would be in Austin and I knew I would have access to a lot of great options. That also meant that I did not use stevia while I was gone. While we stayed up WAY too late most nights talking and catching-up, etc., overall I felt a ton more balanced and my appetite was totally normal (no ravenous episodes). A little birdie in the back of my head started chirping that maybe I should trial life without stevia. 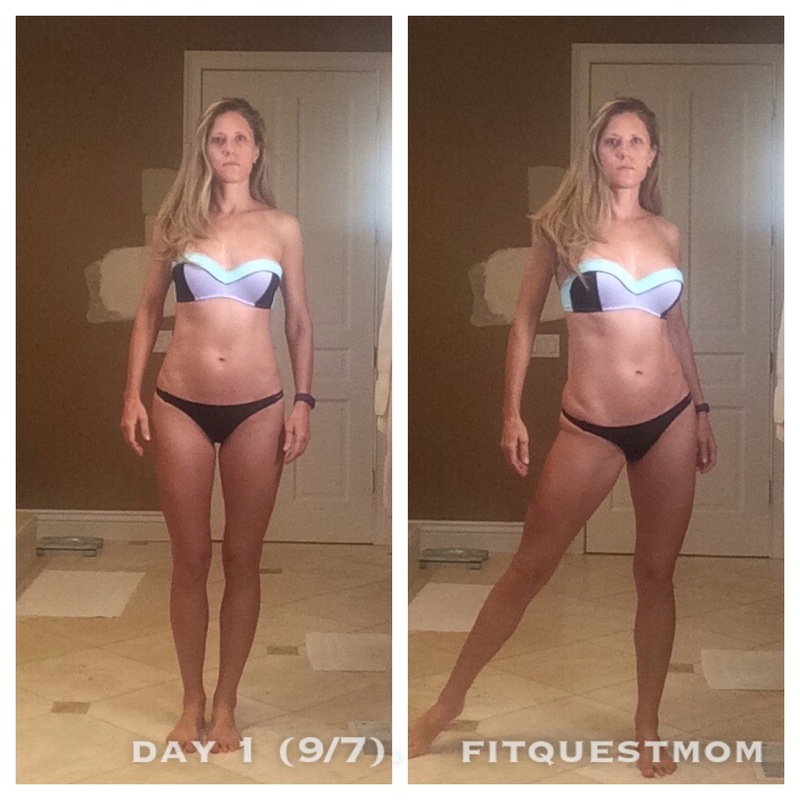 We came home and the next day I was right back into stevia mode, starting with a smoothie….and the symptoms began returning. I went about my normal stevia-filled life for another week and then decided the following Monday I would do an experiment and forgo stevia for one week. Normally I would ask myself to try something for a month, but when you have an addiction of sorts to sweets, the idea of 7 days seemed more manageable for me to tackle. The first few days were hard, but within two days something interesting started to happen; I was losing weight eating the same exact macros. In addition, I wasn’t experiencing the light-headed episodes, and wasn’t having episodes of intense hunger. Hmmmmm. By day 5 I checked my fasting glucose and it was 70!!! It went from 95-105 to 70 in 5 days. By the end of the week I had slept through 2 nights without waking. Now that’s thought provoking. When we consume something sweet, as soon as the sweet taste touches our tongue our body begins responding hormonally and releases insulin. Normally, when we taste sweet that means that we will be ingesting carbs that will eventually turn into glucose. Once the glucose enters our bloodstream insulin is there to shuttle it into our cells. Apparently our body cannot produce glycogen and ketones at the same time. When you consume a zero calorie sweetener and the cascade of events follows necessitating the conversion of muscle to glucose, you cannot make ketones. LIGHTBULB…perhaps this is why my ketones were all over the place. While doing my research I happened upon a podcast (which I have really been enjoying) called the Ketovangelist and on episode 114 Dr. Bruce Fife makes the case against stevia. Dr. Fife found that his patients who were using stevia had a very difficult time losing weight and also struggled to get into ketosis despite following the ketogenic diet parameters he gave them. He began to research stevia heavily and ultimately wrote the book, “The Stevia Deception,” (which I have on order). The episode really made me think about the possible links between zero calorie sweeteners and the symptoms I have been struggling with. Within the podcast they discuss how stevia extract is produced, the addictive nature of stevia, stevia and weight loss, stevia and digestive health, and stevia as it pertains to reproductive / hormone health. 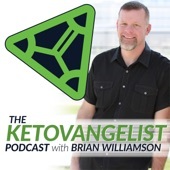 I appreciate the fact that a few episodes later (episode 118) the host, Brian Williamson, has Thom King (the founder of the company Steviva) on to make the case for stevia. I always want to hear both sides of a story and both episodes made some compelling arguments. Perhaps the strongest argument made during this episode was for the fact that quality matters. For example, while Dr. Fife sites some influential studies on rodents, this episode mentioned the fact that we do not know whether or not the studies used pure stevia or stevia mixed with malodextrin and other fillers, etc. I think we can all agree that the stevia we are able to purchase in the store is not the same as the unrefined stevia leaves that the Indians in South America use. That being said, Thom’s company produces their stevia sweetener using a natural water extraction process whereas many companies that produce stevia do so with the use of petrochemicals and bleach agents and then add a slew of fillers resulting in a substance that our body does not recognize. In the episode Thom mentions a study published on the National Institute of Health website (click HERE for the study) that supports his claim that stevia does not have the same effect on the body that aspartame and sucrose do. He also mentions experiments he has done on himself (he follows a ketogenic diet and tracks his ketones and insulin) where he has tested his ketones and consumed a diet soda and that kicked him out of ketosis whereas consumption of stevia had no effect on his ketones. Ultimately it is up to you to do your own research and decide for yourself whether or not you want stevia to be part of your diet. Personally, I plan on eliminating the use of any zero-calorie sweeteners since it has become clear to me that my body does not respond well to them and because I understand the hormonal reactions that occur when we taste sweet and insulin is released. If I do have something sweet it will most likely be sweetened it with dates or raw honey since they are whole food sources…some coconut sugar may make its way in there too. I want to reiterate that we are all individuals and how valuable it is for you to learn your body and what works for you. Be honest with yourself and if you have been experiencing similar symptoms there is no harm in trying a week without zero-calorie sweeteners. Have any of you had any bad experiences with zero-calorie sweeteners or stevia in particular? I’d love to hear from you. If you are interested in reading Dr. Fife’s article title, “The Stevia Myth” click HERE. Dr. Fife article source: 6. Yang, Q. Gain weight by “going diet?” Artificial sweeteners and the neurobiology of sugar cravings. Yale J Biol Med 2010;83:101-108. We are not interested in treating disease, but rather restoring wellness. I am inspired and ready to get back to regular blogging because I have so much I want to share with all of you. At the beginning of the month I went back to school to become a certified NTP, which is a Nutritional Therapy Practitioner. I am LOVING the coursework and learning a ton (my head is swimming in a good way). Sure, it is hard to balance family life (always #1), my business, and schoolwork, however what I am learning is making it all worth it. At the end of June I will be fully certified and will be able to expand my practice. Currently the majority of my clients are focused on aesthetics and helping them achieve their goals is extremely rewarding. I will continue to offer those services, however my main focus will move toward wellness and how I can help people restore their health through nutrition. I was drawn to the NTA’s belief that there is not one diet that is best for everyone, but that we need to focus on the bio individuality of each person and figure out what works best for their system. Through Nutritional Assessments, hands-on Functional testing, and Lingual-Neuro testing I will be able to determine which body systems we need to focus on restoring and which vitamins and minerals are deficient. You all know I have personally experienced the healing powers of nutrition and lifestyle changes. I am beyond excited to join the movement by sharing this information with clients. I am so grateful that I learned early on in my autoimmune diagnosis’ about the power of nutrition and truly look forward to paying it forward. I posted a picture of this extremely macro-friendly protein bread the other day on my Instagram account and there was a lot of interest in the recipe. I based the recipe very closely on iheartmacro’s recipe for protein bread, however I am personally not a fan of cooking with protein powder and I am back off dairy, so I could not use Greek yogurt. I am also a big fan of Crazy Richard’s Pure PB powder and added that to the recipe because PB makes EVERYTHING better! This bread is awesome for those who struggle to get in all of their protein for the day and is VERY filling thanks to the coconut flour. Store in the fridge (I place the bread in a tupperware along with a paper towel to absorb any excess moisture). *Use code “FITQUESTMOM for 10% off Crazy Richards Products. Shop HERE.